Here’s the third chapter of our series of 4 blog posts about our 5 years on the App Store. You can also read about Part I and Part II. Initially started back in 2008 but mostly abandoned, the project came back to life right after Apple announced the iPad in January, 2010. It took us several months building the app, including the Screens Connect service, which was not planned at first but soon realized that we could not ship an app that lets you control your computer remotely without making it easy for users to configure their network in order to make their computers accessible from the outside. That additional workload pushed the release date a little further but we were much more confident about the success of the app. Screens was a huge success and was praised by many blogs, magazines and websites. With a $19.99 price tag, it also proved that it was possible to sell an app more than $5.99 on the App Store and still be successful. 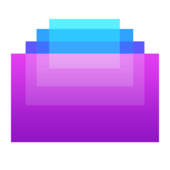 Screens 2 was introduced in early 2012 and added iCloud support. The app is no longer available as it was replaced by Screens 3 in September, 2013. We decided to port Currencies to the Mac in order to experiment with the Chameleon Project and see if it would be a potential tool to do the same with Screens. While Chameleon worked quite well for Currencies, it made more sense for us to simply start from scratch and make Screens for Mac a genuine AppKit app. Currencies was removed from sale because it needed a lot of work to make it compatible with the then newly released MacBook Pro with Retina display so we had to remove it from sale. The app was released on the same day a OS X 10.7. This allowed for Screens to be largely promoted by Apple, being one of the first apps to support Lion. Screens for Mac 2 was release around the same time as Screens for iOS 2 and offered many new features, including iCloud support. We’ll be releasing Screens for Mac 3 in 2014 and we will tell you more about it early next year! Released the same day as iOS 7 (see a pattern here? ), Screens 3 was fortunate enough to be featured by Apple quite a bit and got rave reviews from many web publications. Screens was rebuilt from scratch twice. Yes, twice! The rewrite began in mid-2012 but the direction we were taking was flawed from the start so we took a big breath, thought things through once more and made sure we were taking the right approach with the new version. Since there were many rumours regarding iOS 7, we decided to wait until WWDC’13 in June to see what were Apple’s plans and concentrated our efforts on Screens’ internals instead. It was a lot of work throughout the summer in order to be able to release the app for iOS 7’s launch but it did pay off. Now that many of our apps were either removed from sale or sold to another software company, we have an amazing opportunity to make some changes at Edovia in the coming year.